How to get rid of Dark circles and puffy eyes. A lack of sleep can definitely be a factor because circulation will slow down and cause blood to pool under the eyes. Genetics are also one of the most common reasons for dark circles, because when you have inherited thin or fair skin under your eyes, it is more obvious when blood has gathered there. 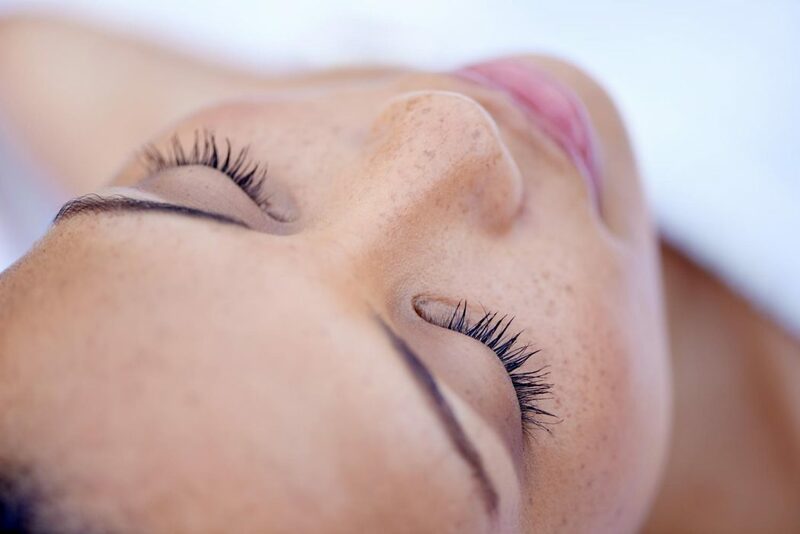 Another factor is age, because as skin loses collagen and becomes thinner, the veins underneath are more visible. Spending time in the sun without protecting your skin can accelerate the process because of increased pigment and collagen breaking down faster. 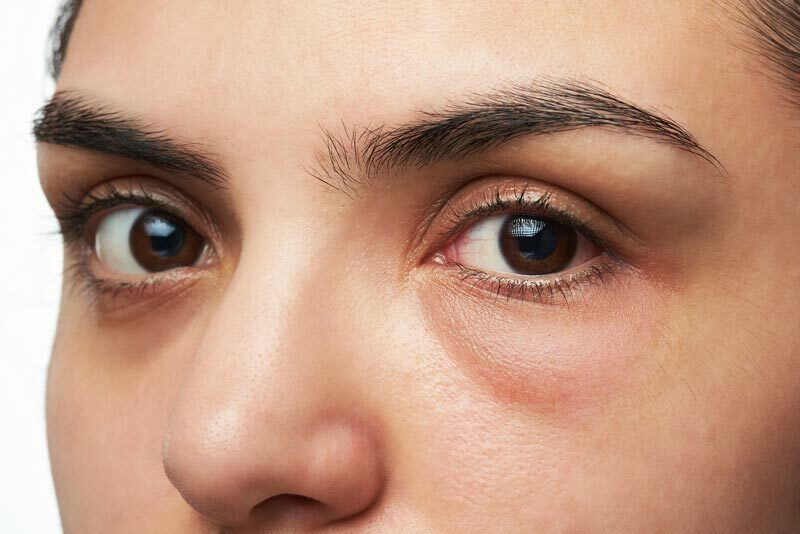 Seasonal allergies can bring on dark circles because they can irritate blood vessels and cause swelling. Even dehydration (which is exacerbated by drinking alcohol) can cause your body to retain water, therefore creating puffy bags under the eyes. Get plenty of sleep! Elevate your head with multiple pillows and try to sleep on your back as much as possible so blood has less of a chance to build up under your eyes. In the morning, use a cold compress to constrict blood vessels and minimize a swollen appearance quickly by cooling off the area with something chilled: try cucumber slices, caffeinated tea bags, gel eye masks or even spoons. Leave any of these items for 10 to 20 minutes to soothe the eye area. Eye creams can make a difference when applied consistently; fortunately, there are many that address specific needs. To help constrict blood vessels, try one that contains caffeine. To increase collagen production, try one that contains retinol. To help brighten skin tone and build collagen, try an eye cream that contains Vitamin C.
Treat the under eye area gently, especially when removing makeup, so that you do not irritate the skin or cause any damage. Avoid rubbing and tugging as much as possible. If your problems are allergy-related, try over-the-counter antihistamines. Add more foods to your diet that contain omega-3 fatty acids such as salmon and walnuts to boost circulation. Drink plenty of water, avoid eating foods that are high in sodium and limit your intake of alcoholic beverages. 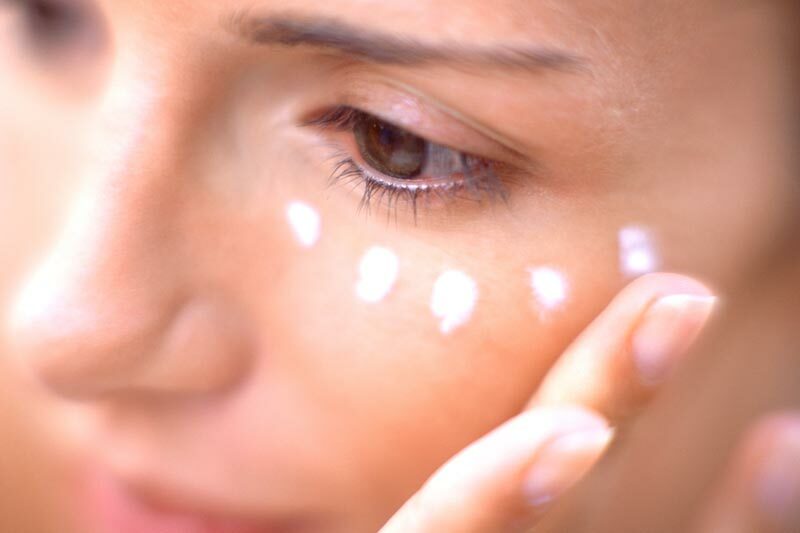 Wear sunscreen every single day to protect the delicate eye area, no matter what the weather is like. When all else fails, turn to makeup! Find your ideal concealer to help mask the look of circles. Begin with an eye cream, and then pat on a concealer that matches your skin tone. To keep makeup from settling into fine lines and creases, top it all off with loose powder.